Of course, folding knives and Swiss army knives are useful in hunting. But what about the tougher jobs? Can the blade of a folding or Swiss army knife is truly able especially in meat processing after hunting? I don’t think so! That’s where you have to consider the best-fixed blade hunting knife. Fixed blade knives are designed to tackle more significant cutting tasks. Those knives are solidly made for capable of heavy-duty jobs. The design of those products is straightforward. Meaning, those are simple to use, and the price is pretty much inexpensive. 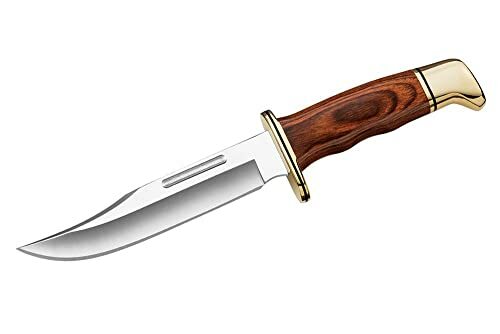 I am going to review some of the most exceptional quality fixed blade hunting knives now so that you can get one wisely. Let’s start. Picking the right one can be a tricky task. Wondering why? The market has tons of options where most of the products are crap. If you want to pick one by yourself, you have to spend a lot of time on research which is irritating. So, we decided to lessen your effort by researching ourselves. In here, we will review some of the well-tested products that are worth buying. Looking for an absolute solid feel of a fixed blade? 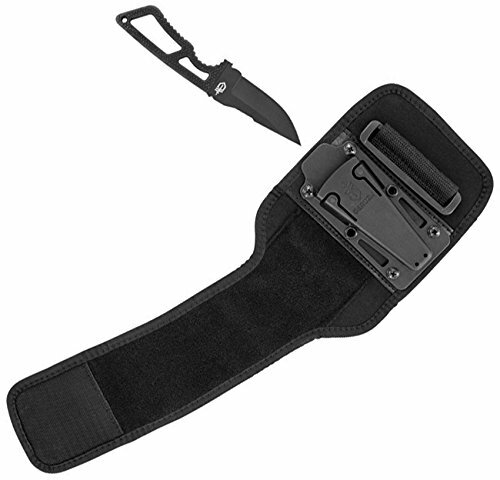 No problem, we have the Buck Knives 119 Special Fixed Blade Knife in here to fulfill your requirement. It is known as buck’s bestselling model. The knife is pretty well made to tackle heavy load. Also, it will serve you for several years without any issue. 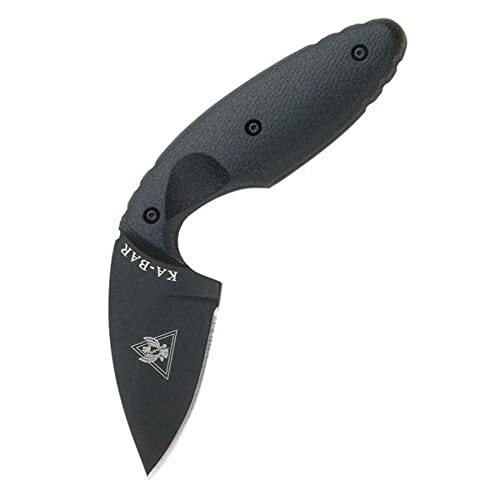 It comes with razor sharp clip point blade that is made of sturdy 420HC steel. You will get excellent strength and edge retention. Also, know that the blade is corrosion resistance. The grip of the blade is made of classic hardwood and offers palm swells. You will get a perfect and comfortable grip. This is the perfection of beauty and balance together. The price is reasonable as well. If you want this one, you better hurry. It is a highly popular product on the Amazon, so stock may expire soon. In the toughest of the environment, Bear Grylls Ultimate Knife 31-000751 can prove to be a life savior. It is by far the strongest fixed knife on the market that is made of premium quality materials. It is sturdy as well as comfortable with an ergonomic handle. The knife comes with a stainless steel razor sharp blade that offers a versatile serrated edge. Additionally, it comes with some innovative survival tools like a fire starter, a diamond blade sharpener, an emergency whistle and a pommel. 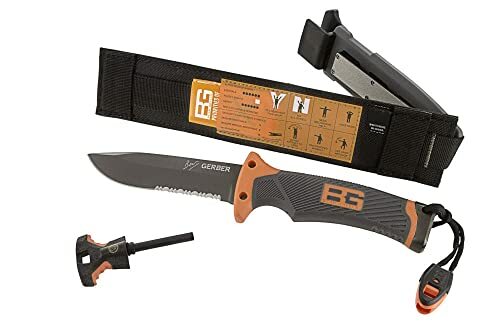 The Gerber Bear Grylls Ultimate Knife is absolutely suitable for adventures and hunters. The blade is able to offer quick and perfect cuts. It is a long lasting knife available at a reasonable price range. Be quick to grab one or you will regret. The stock is expiring! 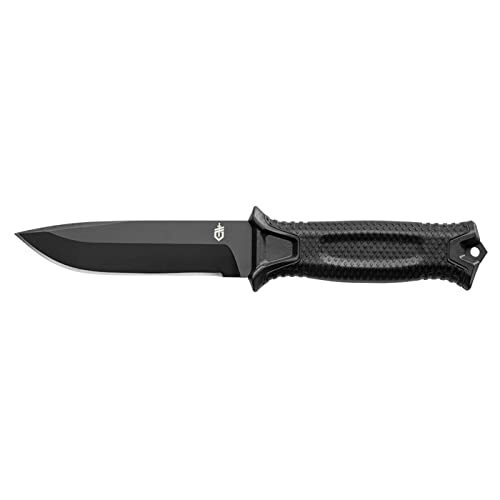 We have another fixed blade knife in this list from the mighty Gerber brand. Gerber ensures the highest quality in every product. This Gerber StrongArm Fixed Blade Knife is no exception. It is the paragon of the quality survival knife. The built quality of the knife is impressive as it is suitable for combat and survival situations. The blade of the knife is strong as well as it is made of a full tank 420HC steel blade with ceramic coating. The blade has the ability to cut through toughest materials with ease. Furthermore, the handle of the knife is made of rubberized diamond-texture that ensures an unshakable grip, proper balance, and maximum accuracy. The overall price of the knife is fair enough for the quality. The stock is limited, hurry up to get one. 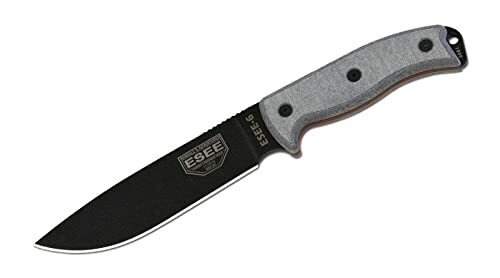 For the professionals, ESEE Knives 6P Fixed Blade Knife is an ideal choice. It is specially designed for the professional hunters. The knife is made of 1095 high carbon steel materials and black powder coated flat ground blade. The blade is able to cut the toughest materials. It is ideal for a long run. However, the grip it has is pretty amazing. The Micrata handle is light and perfect in size. You will get a firm grip and maximum balance. The blade feature jimping on the spine that increases the thumb grip. The blade is connected perfectly with the handle. While using this fixed blade hunting knife, you will never experience any shake. 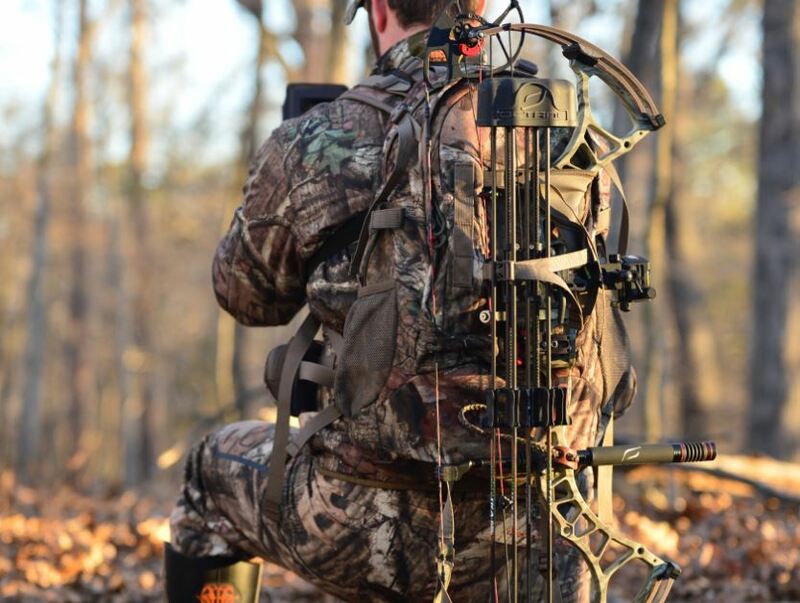 Overall, it is a good option for professional hunters. The stock is limited if you want this one, you better hurry! 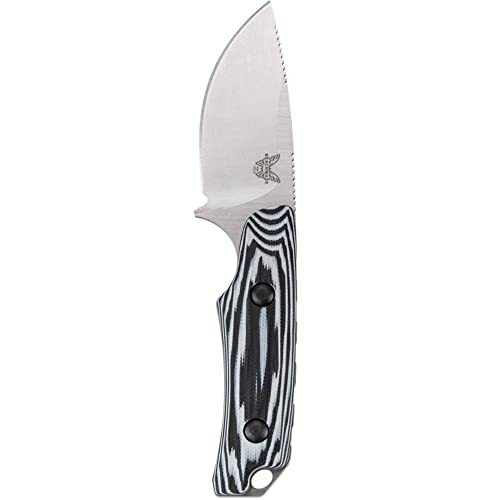 Benchmade-Hidden Canyon Hunter 15016-1 Knife is made for hunting. It is made of CPM-S30V Stainless Steel Blade which is exceptionally well-balanced. Also, the blade offers superb edge qualities, and it is rust resistant. It has large radius blade excels included for skinning and meat removal. The handle of the knife is practical as well. It is durable and stable even at a different temperature. The design of the product is user-friendly. It is a full tang knife offers strength as well as reliability. The design is simple enough. So, it is straightforward to clean. The price of the product is inexpensive as well. Overall, it is an excellent option for hunting. If you need the right fixed blade hunting blade, pick it before the stock turns out. 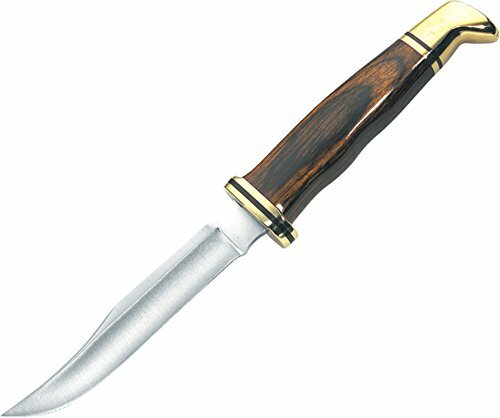 The Buck Knives 0102 Woodsman Fixed Blade Knife is another excellent option for professional hunters. But the problem is it is a small knife that is not actually ideal for heavy cuttings. Still, the construction quality of the product is pretty amazing. It comes with a full tang strong construction for long lasting durability. The blade is made of 420HC steel that offers strength and edge retention. Also, the blade is corrosion resistant. You will get integrated finger guard and deep Choil for safety. It features a comfortable handle made of hardwood cocobolo. The handle provides proper balance. The size of the product is small as I mentioned earlier. Plus, it is lightweight. You can carry it without any hassle. Overall, it is a good product at a reasonable price range. 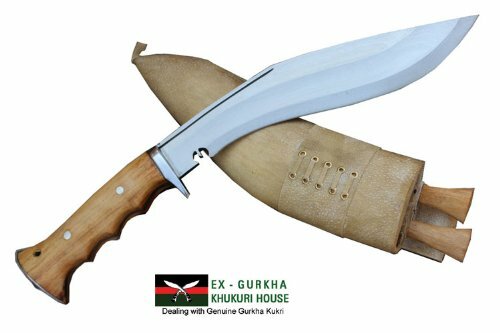 With three different size blades, this Genuine Gurkha Hand Forged Kukri is another versatile option for regular hunters. It comes with a large blade that can cut pretty much anything. And the smaller blade is suitable for small and close tasks. The other one is a sharpener! The construction quality of the knife is exceptional. It is a solidly built product. The blade is handmade by Bishwakarmas with top quality materials. That’s why it is an exceptional cutting tool. The product offers efficiency and durability as well. In this knife, you will get the proper and accurate balance as well as comfortable grip. The handle of the knife is made of rosewood which is strong as well as comfortable. Additionally, you will also get a buffalo leather sheath which is thoughtfully designed. Are you looking for a dependable option? Well, don’t worry, I have the Schrade SCHF9 Fixed Blade Knife for you. It is a large and strong knife with a length of 12. 1 inch. The blade is about 6.4 inch. The overall weight is 15.7 ounces. So, it is definitely huge. The blade is pretty sharp with reliable 1095 high carbon construction. It has the ability to cut through anything. The handle fits perfectly in hands while giving proper balance and comfort. The most important feature of the product is that it is pretty much secure. The blade will never slip as it comes with front quillon, thumb jimping, and finger choil. If you need a full tang design and a lanyard hole for a decent price, this can be your selection! What makes a fixed blade knife great? Strong construction, comfortable grip, sharp blade and standard weight. The Gerber Ghoststrike meets all the requirement for being the best one. It is strong, offers a comfortable grip, the blade is sharp and what not? The knife is made of premium quality materials for long-lasting performance. With proper care, it can even serve you a lifetime. The handle is comfortable and offers excellent grip. It is ideal for adventure trips and hunting sessions. It can cut meat effectively better than many other products on the market. In a whole, this one is worth for such price. 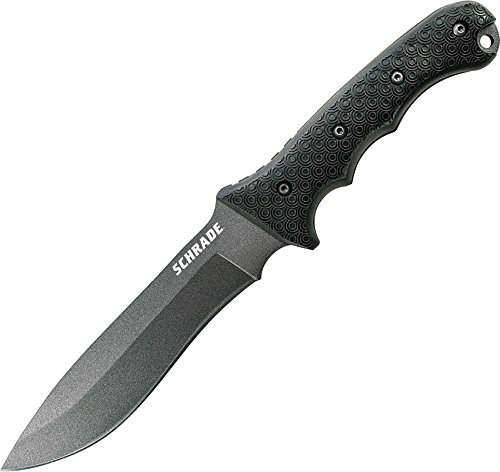 Last but not the least, we have the Ka-Bar TDI Law Enforcement Knife Fixed Blade in here. It is made of AUS-8A stainless steel blade that is 2 5/16 inches in size. The blade is sharp enough to ensure tough cuts. The construction quality of the knife is fantastic. It is made of full metal material. So, you don’t have to worry about the durability. The Ka-Bar Fixed Blade Knife comes with a standard size. It lengths 5 5/8 inches which are fair enough for professional hunters. The knife is beautiful to look and effectively fits in hand. Also, the user will get the maximum level of safety from the knife. It is suitable for severe cuts. Overall price is acceptable for such quality. Pick before the stock turns out. As it is smaller in size, so the highest level of awareness is mandatory. Otherwise, you might hurt yourself while forgetting about the product. We are at the end of the best fixed blade knife article. All the above products are well built and suitable for toughest cutting tasks. Also, the price of those products is acceptable for their quality. Now, the question is how you can understand which one should suit your need. That’s all for now. If you have anything else to know, feel free to contact us. We will get back to you that’s a promise. Anyway, we will come again soon with other hunting essentials, tips, and hacks. Till then, Stay safe!